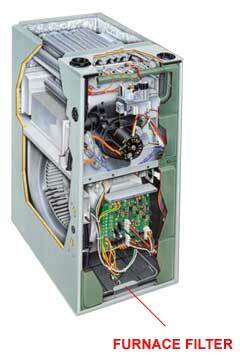 Guaranteed To Fit Your Rheem System! 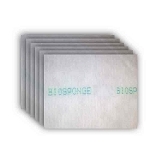 A great feature of the Air Sponge filter is the patented Form-Fit seal, it insures the air filter seals firmly - preventing bypass -- cleaning 100% of your air. 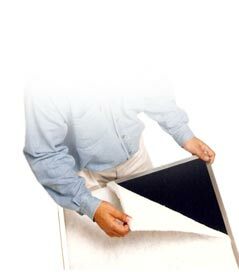 The AC filter frame is permanent and backed by a 10 year warranty, so you'll never need to buy another air conditioning filter! The filter is unbelievably well made. The manufacturing is not machined as an assembly line, but the quality is to match! We are so pleased with the purchase, I have recommended everyone in my family look into changing their filter system to this frame! Thanks for the filter and the after the sale support! We will do business with you again! I recommend the Air Sponge furnace Filter to all my patients. 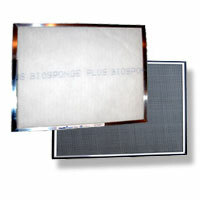 It is the most effective air filter I have ever used in removing airborne contaminants. Excellent product that was built with a sturdy aluminum frame and not paper framed. Great product. We have been used it in the past 12 years, and continue to use it in the future even we just replaced our A/C lately. Product was better than expected, easy to use. Expect that it will filter air "with the greatest of ease". Easy to install work very well with my central air! Finaly, a custom fit filter that fits like a glove! No more buying cardboard filters that just come close. Lightning fast shipping. 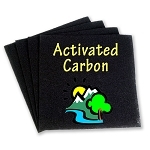 I highly recommend Filter Factory for a permanent solution for your filter needs. Great product. I wasn't able to find my size so they made it for me. 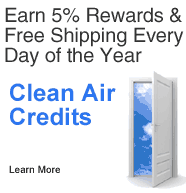 Helps filter out all the mold, dirt, pollen and other pollution from the inside air. 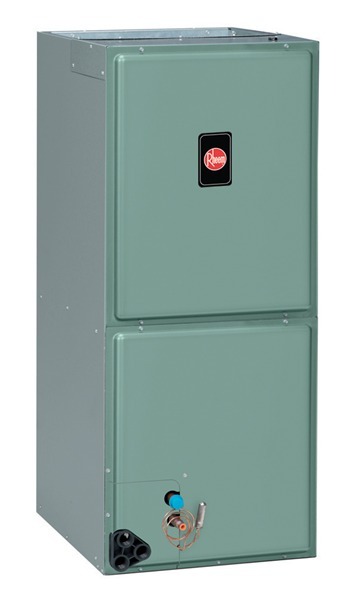 Q: Will this air filter fit a Rheem RBHP/21 air handler? A: Our records show 20 x 21, but its always best to measure. 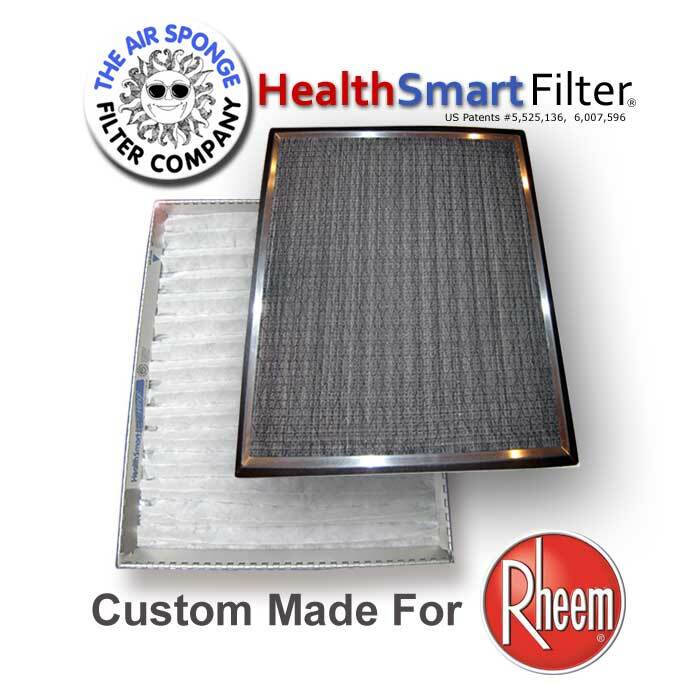 Q: Where can I get a Rheem air filter size 24x24x1? Q: Do you have size 10x24x1? 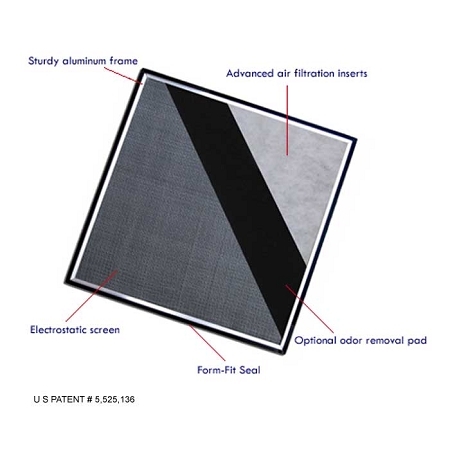 Q: what size filter for Rheem RGRA-12ERAJS ?